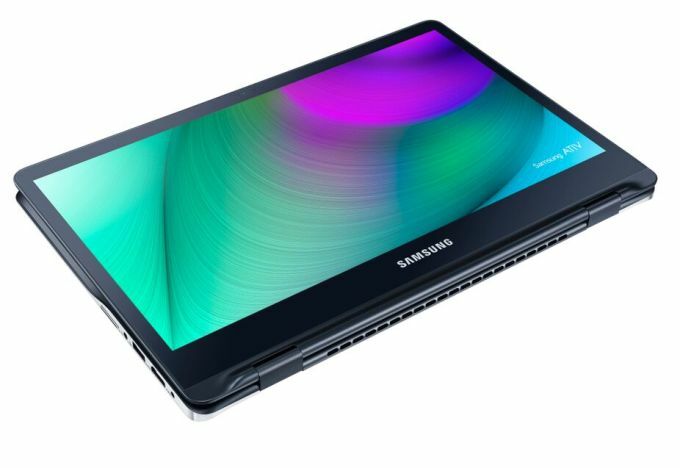 The Ativ Book 9 Pro features a 4K display while the Ativ Book 9 Spin comes with QHD resolution. 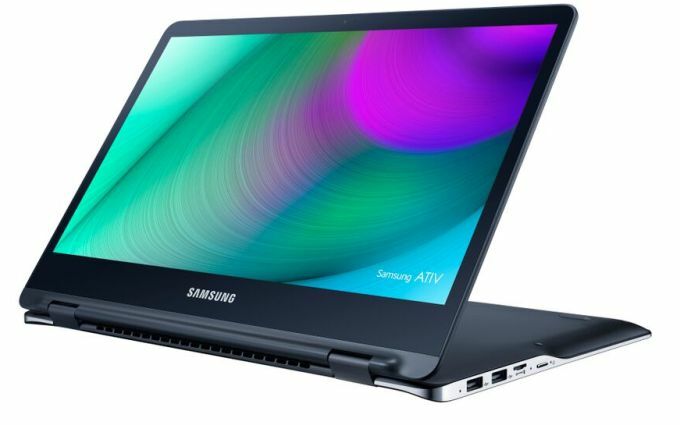 Samsung's Ativ Book laptop line has just been updated with two thin and light models, the 15.6-inch Ativ Book 9 Pro as well as a 13.3-inch covertible, the Ativ Book 9 Spin. The bigger model comes with an Intel Core i7-6700HQ processor running at 2.6 GHz, an Nvidia GeForce GTX 950M graphics card and a 3840 x 2160 (4K) resolution display. The laptop weighs 4.45 lbs and is 0.7 inches thick. It also carries 8 GB of RAM as well as 256 GB of solid state storage. 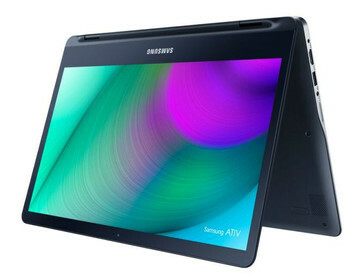 The Ativ Book 9 Spin is powered by a low-voltage Core i7-6500U processor clocked at 2.5 GHz and features a 3200 x 1800 (QHD) display with a 360 degrees hinge that allows it to be converted into tablet mode. 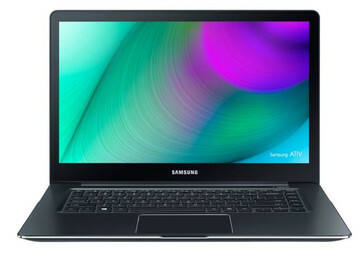 The amount of system memory and on-board storage space is the same as with the Ativ Book 9 Pro. The device is 0.59 inches thin and weighs 2.87 lbs. Both new laptops' displays utilize real-time HDR enhancements to optimize brightness and contrast. They also support Samsung’s Outdoor Mode, delivering up to 700 nit of brightness on the Spin model and up to 500 nit on the Pro, allowing users to see even in direct sunlight. According to Samsung, the Ativ Book 9 Pro will deliver up to 6.5 hours of battery life. The smaller Ativ Book 9 Spin can allegedly operate for almost an hour longer before running out of battery. 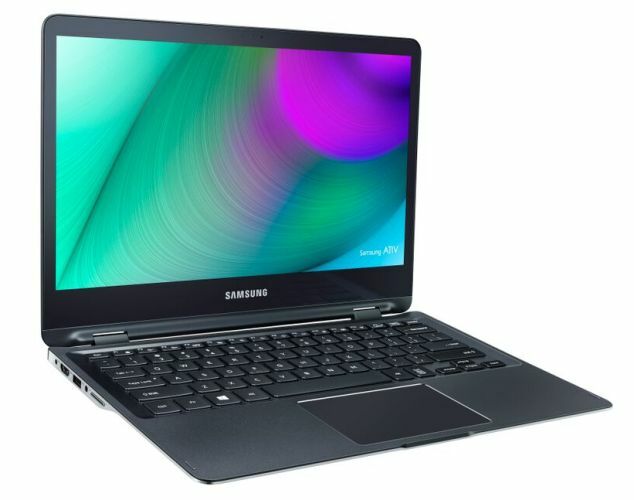 The Ativ Book 9 Pro will be available for a suggested price of $1599, while the Ativ Book 9 Spin has been priced at $1399. Both devices should hit the shelves in November.